How well do you know "Garden State"? Do you think you know everything there is to know about Garden State, the soundtrack, the animals, the places, the time, the plot, the people, and Zach Braff? 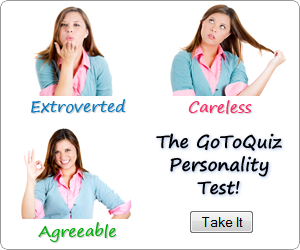 Take the quiz to find out if your a true F.O.G.S!!! ( Who's line is it...?, what song there playing...? who's dog?, what's tinckle?) or take the quiz and realise that you need to see the movie again!!! Good Luck!!! What Aunt Sylvia made for Andrew? Zach Braff originally titled this movie ______. What Dr. Cohen say to Andrew? Go back to L.A and forget the past. What's the name of the girl (at the party) who make out with Andrew? After the party, what word had Andrew written on his forehead? What's the name of the cop that stop Andrew on the way to the party? Why Sam refuses to ride in Andrew's sidecar? Because sidecars are for b----es. Because he ask her not to. Andrew hasn't been home in __ years. The role of Samantha was written with who actress in mind. The movie was released on Wednesday, 28 July ___? Who say this to Andrew "I thought you killed yourself"? "You gotta hear this one song...it'll change your life I promise you" Sam is talking about ______. Who's line is this? : "People call me lots of things"
Andrew was __ years old, when he was sent to boarding school. "Peace out Player", who's line? At the funeral, there is a picture of Andrew's mother on display. The woman in the picture is? Who's line: "He's my knight in shining armor"
In the pet cementery scene, what song starts to play? Andrew used to work in a ______ restaurant. Who kill herself from Andrew's high school? *bonus question* Who is Randy?